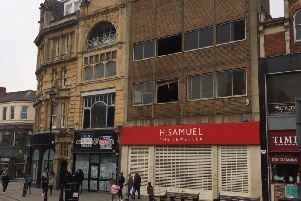 Three men were assaulted in a brawl between two groups of men outside a Northampton nightclub. Officers are appealing for witnesses following the fight at the Stereo nightclub in Bridge Street, Northampton. A fight broke out between two groups of men outside Stereo Nightclub. The incident happened between 4.05am and 4.35am on February 5, when a verbal altercation broke out between two groups of men inside the club. The argument then spilt out into the road and three of the five men, who were all in their 20s, sustained injuries that required medical attention. Two men were arrested in connection with the incident and have been released under investigation pending further inquiries. Witnesses, or anyone with information, are asked to call Northamptonshire Police on 101. Alternatively, they can contact Crimestoppers anonymously on 0800 555111.